Exclusive first listen: M.Ward, in conjunction with NPR, released his up-coming album via full stream. 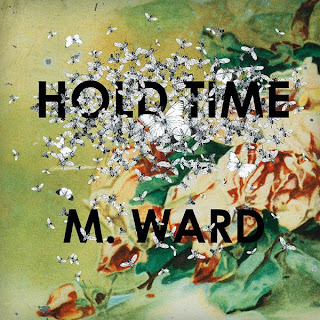 Hold Time, the newest solo effort by Ward, drops Feb.17 on Merge. Descriptions of the LP have included words such as warm, timeless, acoustic and rustic. Well, what were you expecting -- it's M.Ward. Guest vocal appearances include that of Lucinda Williams, Rachel Blumberg of the Decemberists and of course, the SHE, Zooey Deschanel. Enjoy the "Hold Time" music video here.